"Are you tired of trying to lose weight with PCOS and it just not working?" You’ve tried every diet there is. You’ve stuck to it to the letter and nothing works. You sometimes even put MORE weight on. Well, you’re not alone and it’s not your fault! You’re unhappy with the way that you look and feel. You watch the numbers on the scale slowly creep up week after week. Your other PCOS symptoms start getting worse. Something needs to change. …and maybe even join a weight loss club if you’re really serious. 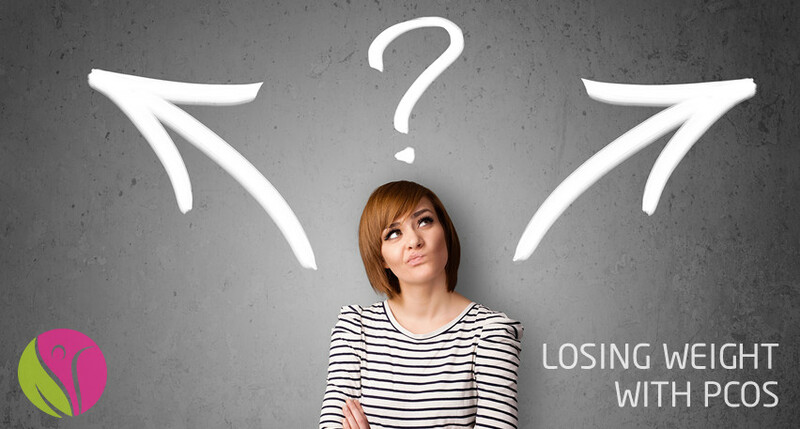 Are you actually losing weight? Are the numbers on the scale starting to go down? If you’re like many women with PCOS, the answer is simple… No! All your hard work is not paying off. In fact you’re probably even putting on weight because you’re focusing on the wrong things. The wrong kinds of foods, the wrong exercise, the wrong approach. 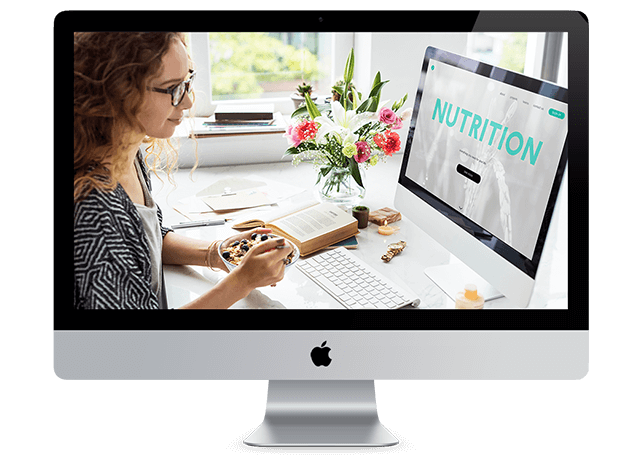 It may seem counter-intuitive, but experience has proven it time and time again: The second that you STOP focusing on weight loss and start focusing on the core of the problem (PCOS), the numbers on the scale begin to move. One of the core problems with PCOS is that the beta cells of our pancreas cause us to release too much insulin. Insulin is good (in the right dose). It moves sugar from our blood stream into our muscles. But it is also responsible for storing fat. If you want to lose weight, you need to manage your insulin. The hunger hormone, Cholecystokinin (or CCK for short) is lower in women with PCOS. This means that we are hungrier than normal after meals. And interestingly, low CCK is associated with high testosterone levels (something we women with PCOS also struggle with). So, if you can manage your PCOS, your levels of CCK will improve, you won’t eat as much and you should start to lose weight. Not only are we hungrier than normal, we also need less calories. It’s a double whammy. So, you need to make sure that you are eating the right kinds of foods that are going to help you feel fuller for longer, while managing your caloric intake. So, going on your standard diet is just not going to cut it. You have to tailor your weight loss plan to control your PCOS and balance your hormones. This is the exact same weight loss strategy that I have taught to thousands of women with PCOS. In fact over 2,250 women have gone through this execution plan. The PCOS Weight Loss Execution Plan is a carefully laid out mini course with 9 information packed sessions. Each session provides a combination of video, notes and handouts, designed to solve the PCOS weight loss puzzle piece by piece. I always thought that cardio was how everyone lost weight. It was really interesting and valuable to realize that cardio and counting calories doesn’t work the best in people with pcos. I love that it is not structured as a “Diet”but rather a change in lifestyle. Every time I feel like I am on “DIET” I feel pressured, eat double what I usually do and pack on the pounds! The PCOS Weight Loss Execution Plan is slow and steady and you look forward to eating this way for the rest of your life. It doesn’t make you feel instantly deprived! Someone wrote it all out in simple English and it made sense. It’s also all backed up with research and that give me confidence. I’ve got better hormone control and understanding of my self. PCOS Weight Loss Execution Plan. This is a ONE-TIME payment for the entire execution plan, you will not be billed again after you complete payment. $27, that’s it 😊 (for lifetime access). The PCOS Weight Loss Execution Plan addresses the core of your weight loss problems – PCOS. It is a practical and theoretical guide to helping you lose weight with PCOS. It is a small investment that could have a lifelong impact. QUESTION: What is an “Execution Plan”? ANSWER: It’s not quite a course and it’s definitely not just an ordinary report or white paper. An execution plan is a step by step guide. It’s about taking action and getting things done as quickly as possible. The execution plan includes 8 sessions, each with a video and notes that you can download. It is full of good content to help you understand what is going on in your body. But more importantly, it gives you very actionable steps in each lesson. 2. It weeds out the freebie seekers. I only want women who are serious about their weight loss, and in my experience, charging anything, even if it’s just $1, gets rid of 99% of those not serious enough to put their money where their mouth is. In other words, if you aren’t happy for any reason, just let us know and we’ll give you your money back. We obviously don’t think it will come to that, but if you’re even the least bit worried if this will work for you, then put your mind at ease.